The final year of the Second World War was very quiet in terms of naval operations, as European leaders turned their minds towards peace with the promise of unconditional German surrender. From January to May in Europe, the German navy was involved in a large-scale evacuation of refugees, but the Soviet submarines were working very effectively at this time, so German losses remained high. The majority of the fighting at sea took place in the Pacific, and from April to June, the Allies were fighting in the Battle of Okinawa, the largest amphibious assault in the Second World War Pacific theater. The Americans used Okinawa as their base to attack mainland Japan, and over 70,000 Japanese soldiers died. The last actions of the Battle of the Atlantic took place in May, and the German U-boat fleet surrendered en masse in the same month. 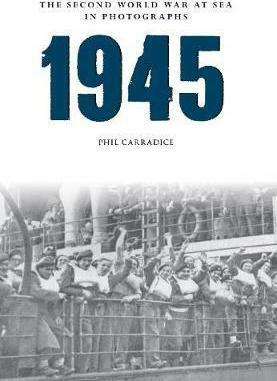 This is the last in a series of year-by-year books covering the major naval events of the Second World War.